I’ve had big feet since I was a little girl. I was teased a lot by other children. My mama always told me when kids pick on me to say God blessed me with big feet because tall graceful women always have balance. When I graduated college I lived in a neighborhood that was OK, but had a lot of break ins. Sure enough one night my place was broken into. The day it happened was rainy and the ground was covered in mud. I was wearing size 11* men’s Timberland boots. The police and crime scene investigator came to check the place out and see if they could get any evidence. I followed them around the apartment without thinking to take my shoes off first. *note: Size 11 men’s is roughly equivalent to size 12.5 – 13 women’s. I’ve always been Tall and been super conscious of the size of my feet. My husband tells my daughters that when he first met me 12 years ago I would never take off my socks, and I wore sneakers. Recently, with the availability of stylish shoes in large sizes for women I’ve shed my socks. Now, I can’t wait for summer so that I can get a pedicure and don my open toe sandals. I get compliments for men and women alike. The best compliment I received was from girlfriend, a lady who wears a size 6 1/2. She told me that although I wear a size 13 you couldn’t tell because my shoes always look good. Finally, I earned my right of passage! I can now talk with the girls about shoes, the styles, which designer I’m wearing and the feeling is great. To know that I can find the same shoe and sometimes and even better looking shoe than my girlfriends who wear “average” sizes. HOORRAY! So at 6ft size 13 shoes, I stand out and set the pace for them to follow, and they’re having a hard time keeping up. LOL! Irene, in Virginia, wins this week’s $100 Shoe Shopping Spree at DesignerShoes.com! She will be shopping for $100 worth of shoes for her size 13M feet after winning this week’s drawing. 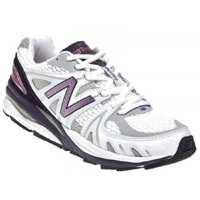 We encourage Irene to post pictures of her FREE shoes on Facebook! Maybe Irene wants these adorable booties by Barefoot Tess! If you haven’t already Sign Up for ShoeNews for your chance to win $100 Shoe Shopping Spree! $100 Shoe Shopping Spree Winner! Kathy, in California, wins this week’s $100 Shoe Shopping Spree at DesignerShoes.com! She will be shopping for $100 worth of shoes for her size 13M feet after winning this week’s drawing. 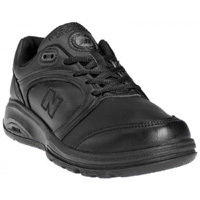 We encourage Kathy to post pictures of her FREE shoes on Facebook! Time to start thinking about fall and winter shoe styles! Q: I want to know how to find women’s shoe’s in my size I’m a male to female transsexual who wears a size 12ww in mens shoe’s. A: The general rule of thumb in converting mens sizes to womens is to add around 1 to 1.5 to the current number. If you wear a 12ww the size range in womens might be between 13 and 14. It isn’t an exact science, but the fun part is trying different styles within that range. You may also search directly for your target sizes and closest widths on DesignerShoes.com. Mens shoes are generally wider than women’s shoes, so I recommend getting certain styles stretched when necessary for maximum comfort. Consulting our Size Chart is a helpful jumping off point. I own a pair of these amazing boots. Summer isn’t boot weather but they work under jeans or with a cute skirt or dress depending on my mood. I have large calves and don’t find these snug. Very supportive. Q: Hi! How fortunate that I finally found a shoe lady; hopefully you’ll be able to help me out. Due to some injuries and surgeries, I’ve gone from a 11 narrow to a 12-13 wide, needing extra depth. I’m already 6’1″ so don’t really like heels, plus they’re painful on feet like mine. Any suggestions for casual shoes would be appreciated. Thank you. A: Here are some options to get you started! 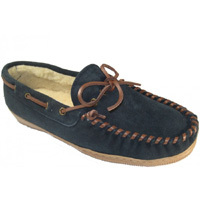 Casual shoes come in an array of styles, and often can complete an after five look as well. Happy searching, and I would love to know what you end up selecting. Playmate in pewter by Bella Vita sports a stylish buckle to adorn this comfortable casual loafer. Aerosoles is known for their shoes that address both style and comfort! This ballet flat is a casual shoe that can make the transition to nighttime wear with ease. 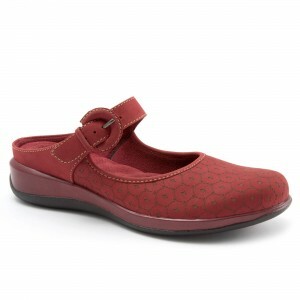 Softwalk’s Treviso in dark red has a modest heel with attention paid to the softness of the interior. Softwalk’s Adora takes its inspiration from clogs, but adds extra support with a closed heel.